In the region of Valencia there are up to 4 of the most considered beautiful villages in Spain, and one of them is Guadalest. Located inside Alicante, just 70 km from the capital but very close to the coast, on top of a rock, it holds many surprises to discover. Guadalest is part of the district of Marina Baja and is within an hour’s drive from Denia. This is one of the excursions that the team of TLCdenia offer their students, who know by heart the charms of the province. 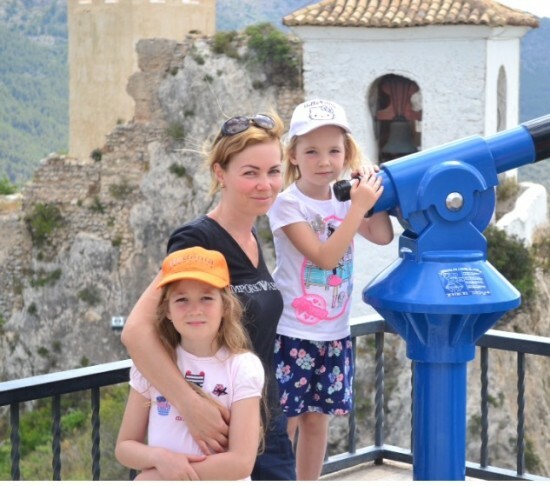 We cross the Sierra de Bernia and the beautiful village of Altea, La Nucia and Polop, leaving aside the enormous peak of Puig Campana and walk with them to the amazing village of Guadalest. 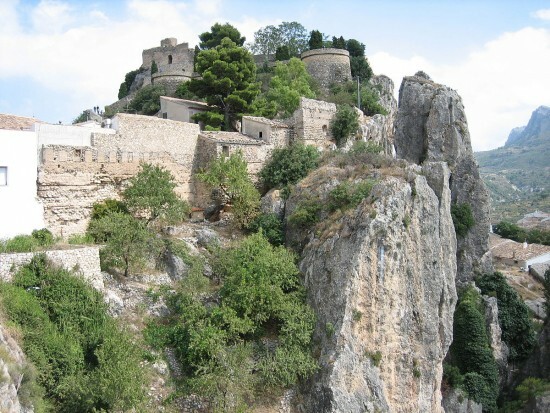 We call it that because that has historically been its nickname but its present name is The Castle of Guadalest by a preponderance of the monument to the town, 500 m in length embedded in the mountains and a valley with a dam of the same name. It dates back to the Muslim era and indeed the Castillo de San José is a fortress dating from the eleventh century. Despite earthquakes in the sixteenth and seventeenth centuries and later battles it maintains its imposing character. The castle, with the tower and the Church of Our Lady of the Assumption are together declared of cultural interest. Access by a natural passage carved into the rock is unique, as are the spectacular views over all the surrounding mountains. A walking tour of the natural environment is not over but this time we focus on urban heritage. The narrow streets of the old town are not to be missed and you will be amazed, because Guadalest is a small village that hides numerous museums such as The Marco Antonio, a famous ecological Bethlehem and other models carved by hand; Museum of Historic Vehicles with pieces restored for 25 years; the Medieval Torture, with chilling instruments used many centuries ago; and salt and pepper shakers … really, this museum exists and is here. 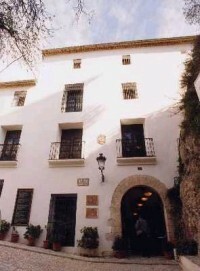 In the Orduña House it is also the Museum of the town, as an example of seventeenth century manor house. Although it suffered a lot during the battles of the Civil War it has been maintained in good condition to show the splendor of a noble family of the time, with plenty of stately furniture and pictorial heritage of the eighteenth and nineteenth centuries, along with a valuable collection of ceramics. Another point between sinister and curious is to visit the twelfth century prison that is under the City. What do you think? Undoubtedly, the trip will leave our students wanting to know more!